C. G. Maclennan and L. J. Lanzerotti, Low Energy Heavy Ion (C, O, Fe) Composition in the Inner Heliosphere by the Ulysses Spacecraft: 1992 to Present, EOS Trans. AGU, 87(36), Jt. Assem. Suppl., Abstract SH33B-07, 2006. We report a study of the long-term temporal and spatial dependence of the low energy (0.5 - 5 MeV/nucl) heavy ion (C, O, Fe) composition in the inner heliosphere (1.5 to 5.2 AU) from data acquired by the Wart detector in the HISCALE instrument on the Ulysses spacecraft. 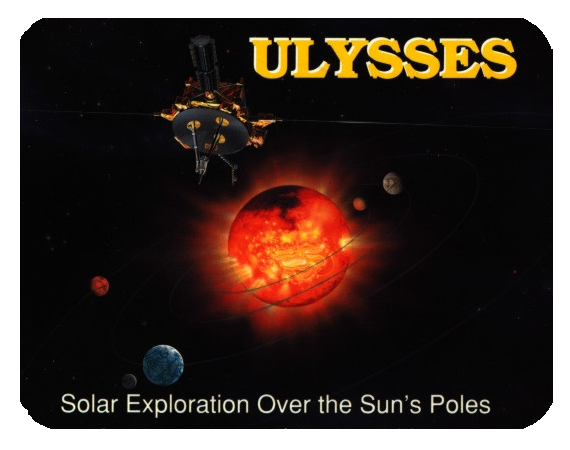 During the interval from 1992 to the present Ulysses has made two complete six-year orbits over the solar poles to latitudes as high as 80 deg. north and south during both solar minimum and solar maximum conditions. The heavy ion composition provides data on the solar event-produced filling of the inner heliosphere during solar active conditions as well as the abundance of low energy (order 0.5 MeV/nucl) anomalous O during solar minimum in the declining phase of solar cycle 23. The low energy anomalous O (the lowest energy anomalous O measured by any spacecraft to date) during the minimum of cycle 23 is dramatically apparent in the displays of data by time and by composition ratio. The anomalous O spectrum is basically flat over the decade energy range 0.5 to 5 MeV/nucl. The Ulysses C, O, and Fe measurements--both flux levels and composition ratios--are compared to similar measurements from the HISCALE back-up instrument (EPAM) on the ACE spacecraft at 1 AU that began after ACE launch in August 1997. D. Lario, Heliospheric Energetic Particle Variability over the Solar Cycle, Fall AGU Meeting, December 2004, EOS Trans. AGU, 85(47), Fall Meeting Suppl., Abstract SH52A-06 (invited). The energetic particle contents of the heliosphere change from solar maximum to solar minimum. The ultimate responsible for those variations is our changing Sun. Its changes are reflected in the dynamics of the large-scale structure of the heliosphere, the solar output of energetic particles, and definitively, in the origin, intensity, energy and composition of the population of energetic particles observed by spacecraft and earth-based detectors. I will describe the global changes observed over the solar cycle in both the heliospheric energetic particle contents and the large-scale structure of the 3-D heliosphere. The stable and regular pattern of recurrent energetic particle events observed in association with corotating interaction regions (CIRs) during solar minimum is replaced by the irregular and sporadic observation of solar energetic particle (SEP) events associated with the occurrence of fast coronal mass ejections (CMEs). The higher frequency of CMEs and transient events during solar maximum results in a more complex and dynamic heliosphere with important consequences for the propagation of energetic particles. Whereas the heliosphere is relatively undisturbed (CME-free) energetic particles may freely propagate throughout the heliosphere. However, the presence of multiple CMEs causes increases in the heliospheric magnetic field that may result in the confinement of energetic particles and hence the enhancement or attenuation of SEP intensities depending on the location of the observer with respect to the energetic particle confinement. I will review the occurrence frequency of the major SEP events and the effects that they had at different locations of the heliosphere. D. Lario, S. Livi, S. M. Krimigis, R. B. McKibben, C. G. Maclennan, D. B. Reisenfeld, C. de Koning, C. T. Russell, and M. K. Dougherty, Heliospheric Energetic Particle Observations During the October-November 2003 Superstorm Events, American Geophysical Union (AGU) - Canadian Geophysical Union (CGU) Joint Assembly, Montreal, 17-21 May 2004, EOS Trans. AGU, 85(17), Jt. Assem. Suppl., Abstract SH33A-03 (invited). We present a multi-spacecraft analysis of the energetic particle observations during the October-November 2003 "superstorms" period. We use energetic particle measurements from the following instruments: (1) the Low-Energy Magnetospheric Measurement System (LEMMS) on board the Cassini spacecraft, (2) the Heliosphere Instrument for Spectra, Composition and Anisotropy at Low Energies (HISCALE) and the Cosmic Ray and Solar Particle Investigation (COSPIN) telescopes on board Ulysses, (3) the Electron, Proton and Alpha Monitor (EPAM) on board ACE, and (4) the Energetic Particle Sensor (EPS) on board the GOES spacecraft. We combine energetic particle data with solar wind and magnetic field observations from the magnetometers and plasma instruments on board the respective spacecraft. The Cassini spacecraft was en route to Saturn, close to the ecliptic plane, at 8.7 AU from the Sun and less than 70 degrees west in longitude with respect to the Sun-Earth line. The Ulysses spacecraft was at 5.2 AU from the Sun, very close to the ecliptic plane, and 54 degrees to the west with respect to the Sun-Cassini line. Prior to the occurrence of these series of events, the structure of the inner heliosphere was well-organized by recurrent corotating high-speed streams. The intense solar events of October-November 2003 disturbed this stable structure, filling the inner heliosphere with energetic particles and sending a sequence of fast CMEs past the three spacecraft. In this paper we characterize the particle intensity enhancements seen at the three spacecraft and associate them with the solar wind disturbances traveling between the Sun and the spacecraft. O. E. Malandraki, E. T. Sarris, C. G. Maclennan, and L. J. Lanzerotti, Physical Mechanisms for the Formation of Particle Reservoirs in the Heliosphere, American Geophysical Union (AGU) - Canadian Geophysical Meeting (CGU) Joint Assembly, Montreal, Canada, 17-21 May, 2004, EOS Trans. AGU, 85(17), Jt. Assem. Suppl., Abstract SH21A-11. Using measurements of energetic electrons (>38 keV) by the EPAM experiment on the ACE spacecraft, we examine the dependence of the characteristic decay time scales of solar electron events on the large-scale structure of the Interplanetary Magnetic Field (IMF) and the resulting implications for particle containment and the formation of particle reservoirs in the heliosphere. The technique of mapping the solar wind and extrapolating the frozen-in magnetic field is used to obtain the large-scale IMF structure within and beyond the location of the spacecraft. Colliding slow and fast solar wind streams originating at different locations in the solar corona give rise to extended regions with compressed magnetic field which can serve as reflecting magnetic mirrors along the path of the injected energetic electrons. From the study of a number of events we find that electron events observed within a converging IMF structure exhibit a remarkably longer decay phase compared to electron events that propagate inside diverging configurations of the IMF. Our results provide strong evidence for the physical mechanisms that determine the establishment and maintenance of particle reservoirs in the heliosphere based upon the inferred locations of magnetic "barriers" in space beyond 1 AU. We use these understandings to interpret measurements of electron and heavy ion reservoirs that are observed simultaneously in the ecliptic by EPAM and out of the ecliptic, at high heliolatitudes, by the HISCALE instrument on the ULYSSES spacecraft. E. C. Roelof and D. Lario, Transverse Anisotropies of 40-90 MeV Solar Energetic Protons: A Re-interpretation, American Geophysical Union (AGU) - Canadian Geophysical Union (CGU) Joint Assembly, Montreal, 17-21 May 2004, EOS Trans. AGU, 85(17), Jt. Assem. Suppl., Abstract SH24A-04. Zhang et al. [Astrophys. J., 595, 493-499, 2003; J. Geophys. Res., 108, A4, 1154, SSH 4-1, 4-13, 2003] report strong anisotropies of 40-90 MeV protons transverse to the local magnetic field in two solar energetic particle events (2000:196 and 2000:256) observed by Ulysses/COSPIN/HET. They interpret their results in the context of diffusive transport and consequently conclude these events constitute strong evidence for the existence of transverse diffusion in the heliosphere. We see three difficulties with this interpretation. 1) The magnetic field was unusually well ordered during the periods of transverse anisotropies. Theories of transverse diffusion require the presence of irregularities in the magnetic field. 2) Fourier analysis of the angular distribution reveals a second harmonic whose amplitude is comparable to that of the first harmonic. This is inconsistent with diffusive transport (Fick's law) that predicts a dominant first harmonic. 3) Only two such intervals have been identified in a search of the mission-long Ulysses COSPIN data set. The paucity of such intervals is inconsistent with this being a pervasive mode of transport. We have independently analyzed the COSPIN/HET channel H45 data and we confirm the data analysis of Zhang et al. for both events. However, we find that the data are much more consistent with a quantitative interpretation in terms of weak scattering with an evolving field-aligned streaming and a bi-directional anisotropy component in the presence of a gradient anisotropy. The scale of the gradient extracted from the pitch-angle distributions is comparable to that of the flux-rope-like magnetic structures in which it occurs. The above-mentioned three points are thus explained as follows. 1) Weak-scattering is expected in regions of quiet fields. 2) The pitch-angle distribution in both events eventually becomes predominantly bi-directional, indicating a mirroring within the structure. Consequently the significant second harmonic is immediately explained. 3) The conditions for observing a strong gradient anisotropy at these energies is restricted to a special class of structures, and hence should be a relatively rare occurrence. D. Lario, E. C. Roelof, and D. B. Reisenfeld, Ulysses Low-Energy Particle Observations over the Solar Poles, Spring AGU Meeting, May 2002, EOS Trans. AGU, 83, S268, Abstract SH51A-04. Ulysses has recently explored the polar regions of the heliosphere. In November 2000 and October 2001 Ulysses reached the most southerly and northerly latitudes, respectively, of its trajectory (80.2 deg). In this paper we will analyze the low energy particle observations from the Heliosphere Instrument for Spectra Composition and Anisotropy at Low Energies (HISCALE) during the two Ulysses solar polar passes (understood as those time intervals that Ulysses spent at heliographic latitudes above 75 degrees). Unlike the first time that Ulysses explored these high-latitude regions (in September 1994 and August 1995), the heliosphere was dominated by solar maximum conditions. During the southern polar pass (November-December 2000) Ulysses observed several energetic particle enhancements associated with events of solar origin and with the arrival of interplanetary solar wind and field structures. The overall background particle flux level remained high throughout the southern polar pass. Ulysses observed predominantly low-speed solar wind (~300 - ~400 km/s) with occasional streams of faster (~500 km/s) wind. Two magnetic sectors were present up to a latitude of ~78 S above which a single inward polarity was observed. During the solar maximum northern polar pass (October-November 2001) Ulysses was immersed in the high-speed (>700 km/s) polar solar wind stream and only an inward magnetic field polarity was observed. Transient solar wind structures were clearly observed even at these high latitudes and under these high-speed solar wind conditions. Two long-lasting major solar energetic particle (SEP) events with onsets on days 267 and 309 of 2001 were observed at heliolatitudes above 77° N . The energetic particle fluxes returned to instrument background levels in the time interval between the two major SEP events. We correlate polar region observations from the Ulysses spacecraft with 1 AU measurements in the ecliptic from the ACE spacecraft. The two large SEP events during the northern polar pass were observed by both ACE and Ulysses. However there was no one-to-one association between ACE and Ulysses for the less intense SEP events. Access of energetic particles at high latitudes through magnetic field lines originating at low latitudes under the different interplanetary conditions observed at northern and southern polar passes will be discussed. C. G. Maclennan, L. J. Lanzerotti, R. E. Gold, S. E. Hawkins III, and D. Lario, Low Energy Charged Particles in the High Latitude Heliosphere: Comparing Solar Maximum to Solar Minimum, Spring AGU Meeting, May 2002, EOS Trans. AGU, 83, S266, Abstract SH41A-08. The structure of the inner heliosphere that was delineated by the energetic charged particle populations (electrons and ions) during the recent Ulysses fast latitude scan during solar maximum conditions is found to be very different from that measured during a similar latitudinal transit in solar minimum conditions. Measurements made by the Heliosphere Instrument for Spectra, Composition and Anisotropy at Low Energies (HISCALE; electrons ~50-1000 keV and ions ~50 keV-10000 keV/nucl) during solar maximum show that the inner heliosphere was populated at all latitudes, and with varying spatial scales, by particles largely originating from active solar regions. During solar minimum the major particle populations were confined to the near equatorial solar current sheet. The relative energetic ion (Z>2) abundances throughout the inner heliosphere were also substantially different, a result of the dominance in the inner heliosphere of solar-produced particles during solar maximum and the dominance of anomalous cosmic ray ions (especially O) and interplanetary accelerated particles during solar minimum. The H/He abundance ratios are nearly a factor of ten larger during solar maximum conditions at all heliolatitudes, showing the importance of a dominant solar source during this epoch. The ratios of the HISCALE ion abundances in the fast latitude scan during solar maximum are compared to measurements of ions made during the same time interval with a similar instrument (EPAM) on the ACE spacecraft in the ecliptic plane near 1 AU and show significant variations with time and spatial location. However, there are several intervals of time following solar maximum activity, including at latitudes as high as 80 degrees, during which the ion abundances and the electron fluxes at both locations are nearly identical. These intervals demonstrate that at times particle reservoirs (which are found to persist for nearly a solar rotation), can be established in the inner heliosphere and have volumes ranging from ~40 to ~150 AU3. O. E. Malandraki, E. T. Sarris, and L. J. Lanzerotti, Magnetic Topology of In- and Out-of-Ecliptic ICME Events: ULYSSES/HISCALE and ACE/EPAM Observations, Spring AGU Meeting, May 2002, Abstract SH21A-07. In January 2000, ULYSSES observed an Interplanetary Coronal Mass Ejection (ICME) event at 43° S heliolatitude and ~4.1 AU helioradius. We use electron (Ee >38 keV) observations by the ULYSSES/HI-SCALE experiment to trace the large-scale structure and topology of the Interplanetary Magnetic Field (IMF) embedded within the ICME. The still controversial issue of whether ICMEs have been detached from the solar corona or are still magnetically anchored to it when they arrive at the spacecraft is addressed. Based upon the time evolution of the angular distributions of the particle intensities we infer that the ICME involved complex intertwined structures including regions both connected to and disconnected from the Sun. The detection of counterstreaming solar electrons in a portion of the ICME is consistent with the trapping of the injected electrons within closed magnetic structures. The observation by the ACE/EPAM experiment of two impulsive solar flare electron events inside an in-ecliptic ICME in May 1998 suggests that field lines threading through the ICME are rooted at the Sun. The observed anisotropy characteristics are consistent with the magnetic topology of a magnetic bottle between a magnetic mirror located at the Sun and a magnetic constriction upstream from ACE formed by the convergence of open field lines that reflects the outgoing electrons. The magnetic mirror strength is calculated in one case based upon the local IMF observations and the electron pitch-angle distributions. A magnetic field enhancement observed by ACE in the downstream region of the CME-driven shock is identified as the agent responsible for the mirroring of the energetic electrons. J. D. Patterson, T. P. Armstrong, L. J. Lanzerotti, and S. M. Krimigis, Relativistic Electron and Ion Modulation Measured on Ulysses: HISCALE Instrument Background, Spring AGU Meeting, May 2002, Abstract SH22A-06. We present the results of the analysis of the heliographic latitude variation of the background counting rates (MFSA channels) in the HISCALE instrument on board the Ulysses spacecraft during the first Ulysses fast latitude scan (day 257 of 1994 to day 212 of 1995). The background rates are found to decrease between the heliographic latitudes of 20-60 degrees on both sides of the heliospheric equator, and to increase at heliolatitudes between 0 and +/-20 degrees to values approximately as measured over the solar poles, >60 degrees. The modulation of 0.3-2.1 GeV protons and helium is seen clearly by the COSPIN:KET detector at heliographic latitudes <60 degrees, but these ion rates remain low during Ulysses' passage through perihelion. We conclude that the systematic decrease in the background at heliographic latitudes <60 degrees is likely the result of the modulation of relativistic galactic electrons and ions, and that the recovery of the background rates during the Ulysses ecliptic crossing is due to relativistic electrons, probably of Jovian origin. The result of this analysis may also be used to better understand the propagation of electrons perpendicular to the ecliptic. D. J. Thomson, C. G. Maclennan, and L. J. Lanzerotti, Comparisons of Spectra of Ulysses Electrons, 20-40 Degrees Heliolatitude, Spring AGU Meeting, May 2002, Abstract SH42B-07. We compare estimates of the power spectrum from three sections of Ulysses data: 20-40 deg. S, (Nov. 1992- Sept 1993, Orbit 1), 40-20 deg. N, (March - Dec, 1996, Orbit 1), and 20-40 deg. S, (Jan.- Dec. 1999, Orbit 2). In all cases multitaper spectrum estimates are computed from logarithms of low-energy ( ~50 - 200 keV) electron fluxes from three independent channels of the HISCALE instrument. In addition, three overlapping data sections with 8 Slepian sequences on each section are used, so that the average spectra used in the comparisons have over 100 degrees-of-freedom each. The spectra from solar minimum in 1996 have the lowest power over a wide range of frequencies. The power spectra estimated from the 1993 data during the declining phase of the solar cycle, when co-rotating interaction regions were ubiquitous, is somewhat higher than that from the 1999 data during the increase to solar maximum. (Both are from 20 to 40 deg. South). As solar activity, as measured by sunspot numbers, was lower, 54.6, in 1993 than in 1993, 93.3, this provides yet another example where the falling edge of a solar cycle is more variable than the rising edge. Many of the peaks in the spectra of the three time series appear as common features in all spectra. Further, the spectra contain peaks at the frequencies reported in TML 95. Detailed comparisons of the frequencies of the peaks in the different spectra suggest that the frequencies may be slightly dependent on solar activity. D. J. Thomson, C. G. Maclennan, and L. J. Lanzerotti, Spectra of Ulysses (HISCALE) Electrons, 2001, Fall AGU Meeting, December 2002, EOS Trans. AGU, 83(47) Fall Meet. Suppl., Abstract SH11A-0379. Fluxes of low-energy (~50 - 200 keV) electrons during Ulysses' solar south pole to north solar pole pass in 2001 were of sufficient magnitude to compute reliable power spectra in the frequency range where low-order and degree g- and p- solar oscillatory modes are expected. In the 100 to 1000 μHz frequency range the spectra are dominated by large peaks that are reproducible between different electron flux and energy channels. Moreover, almost all of these peaks correspond to predicted mode frequencies for 0 <= l <= 5 to within a few microhertz, although there appear to be some systematic differences between predictions and observations. Several of the large peaks in the spectra are sufficiently isolated in frequency to allow hypothesis tests for spherical harmonic dependence in heliographic latitude. (The spacecraft's motion means that space and time are confounded so that one cannot reliably detect modes by simply testing for periodic components. Instead, one must include the amplitude and phase changes expected for a given mode along the orbit.) Preliminary tests using narrow band filters on some tentatively identified modes show the expected amplitude and phase characteristics. O. E. Malandraki and E. T. Sarris, Tracing the Topology of Coronal Mass Ejection Events by Means of Ulysses/HISCALE and ACE/EPAM >42 keV Electron Observations at High and Low Heliolatitudes, Spring AGU Meeting, May 2001, 2001 Spring Meeting Supplement to EOS, S329, 2001, Abstract SH51C-01. In this work, solar flare energetic particle fluxes (Ee > 42 keV) observed by the ULYSSES/HISCALE and ACE/EPAM experiments are utilized as diagnostics of the large-scale structure and topology of the interplanetary magnetic field (IMF) embedded within well-identified magnetic clouds and non-cloud Interplanetary Coronal Mass Ejection (ICME) structures observed at high and low heliolatitudes. On the basis of the energetic particle observations firm conclusions are drawn on whether the detected ICMEs have been detached from the solar corona or are still magnetically anchored to it when they arrive at the spacecraft. The observation of solar electron event onsets within some ICMEs with energetic electrons streaming for long intervals along the magnetic field implies that open field lines rooted to the Sun at only one end are threading through these ICMEs. Based upon the time history of the angular distributions of the particle intensities we infer that parts of some ICMEs comprised both open and closed magnetic field topologies. The detection of counterstreaming electrons in certain portions of some ICMEs during solar particle events is consistent with the trapping of the injected electrons within closed magnetic structures. Moreover, our particle observations suggest that some ICMEs involve more complex intertwined structures including regions both connected to and disconnected from the Sun. J. D. Patterson and T. P. Armstrong, A 10-Year Survey of Electron and Ion Energy Spectra from 50 keV to 5 MeV from the HISCALE Instrument Aboard Ulysses, Spring AGU Meeting, May 2001, Abstract SH31A-08. The Ulysses spacecraft has nearly completed two full polar orbits around the Sun. We can now examine the variations of energetic electron and ion spectra as functions of heliolatitude, radial distance, and phase of the solar activity cycle. The key instrumental capability is that of the MF Spectrum analyzer (MFSA) of the Heliosphere Instrument for Spectral, Composition, and Anisotropy at Low Energies (HISCALE). Reporting on this for the first time, we show 25-point energy spectra for protons and Z > 1 particles, and 12-point energy spectra for electrons. We have also determined the separately time-varying contributions to the instrumental background from the omni-directional penetrating galactic cosmic rays and from the gamma rays emanating from the spacecraft radioisotope thermoelectric generators. All four of the HISCALE detector heads are used to form a complete set of electron and ion spectra in the solar wind frame in four or eight spin sectors and at four angles to the spacecraft spin axis. Using these spectra, we present the large-scale variations in the energetic particle spectra as functions of latitude, radial distance, and time for both impulsive flare events and recurring co-rotating events (CIRs). The variation of the MFSA observed background rates as Ulysses passed through the streamer belt at ~1 AU as an indication of strong GCR modulation is a secondary result that we will present. P. Riley, J. A. Linker, R. Lionello, Z. Mikic, D. Odstricil, V. J. Pizzo, T. H. Zurbuchen, and D. Lario, Using Global MHD Simulations to Interpret in situ Observations of CMEs, Spring AGU Meeting, May 2001, EOS Trans. AGU, 82, S324, Abstract SH42A-07. In this study, we combine two MHD models to simulate the initiation, propagation, and dynamic evolution of flux-rope-like CMEs through the corona and out to 1 AU. The coronal model encompasses the region of the solar corona from 1 Rs to 20 Rs, while the heliospheric model encompasses 20 Rs to 1 AU. The CME is initiated in the corona and propagates smoothly across the outer boundary of the coronal solution and through the inner boundary of the heliospheric solution. The model solutions show a rich complexity, which, given the relative simplicity and idealization of the input conditions, bear a strong resemblance to many observed events, and we use the simulation results to infer the global structure of some of these observations. In particular, we highlight an event that was observed by both Ulysses and ACE in February/March, 1999. 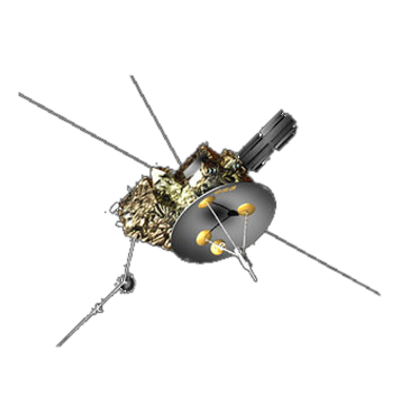 At this time, Ulysses was located at ~ 5 AU and S 22 deg heliographic latitude; thus the two spacecraft were separated significantly both in heliocentric distance and latitude. We also use these simulations to separate dynamical effects from force-free models of flux ropes in the solar wind. R. B. Decker, D. Lario, E. C. Roelof, D. G. Mitchell, and T. P. Armstrong, Energetic Particle Observations from the CPME and EPE Instruments on IMP-8 During the Bastille Day 2000 Event, Fall AGU Meeting, December 2000, EOS Trans. AGU, 81(48), Fall Meet. Suppl., Abstract SH52B-14. We report on energetic particles measured by the CPME (Charged Particle Measurement Experiment) and EPE (Energetic Particle Experiment) instruments onboard the IMP-8 spacecraft during a period of several days centered on the Bastille Day solar storm. The CPME instrument provides intensities of protons (>0.3 MeV), several ion species (>0.6 MeV/nuc), and electrons (>0.22 MeV) in multiple energy ranges at 20-sec time resolution. The EPE instrument provides intensities of ions (>0.05 MeV) and electrons (>0.03 MeV) in a number of energy ranges and in 16 angular sectors (also at 20-sec time resolution). IMP-8 performs a near-circular orbit about Earth of radius ~35 RE, spending 60% or more of each 12-day orbit in the solar wind, and the rest of its time in the magnetosheath/sphere. During 14-15 July (DOY 196-197) IMP-8 was in the solar wind upstream from the dusk bow shock. Particle intensity increases associated with the fast halo CME launched on day 196 were most striking for higher energy particles (intensities at lower energies were already significantly enhanced by injections from previous solar activity). For example, between 0900-1200 UT on day 196, intensities had increased by factors ~4x103 and ~2x103 for protons (50-100 MeV) and electrons (0.22-0.50 MeV), respectively. The shock arrival at ~1437 UT on day 197 (Bastille Day) was marked by a sharp, narrow (~2 hr.) shock-spike with peak intensity of 0.05-0.22 MeV ions ~7x106/cm2-s-sr-MeV. Thereafter, in the post-shock plasma the intensity in this channel remained relatively flat at ~3x106/cm2-s-sr-MeV for about 5 hours, dropping abruptly with the arrival of the CME at ~2000 UT. This rapid drop of the post-shock intensity at the leading edge of the CME proper occurred over a broad range of particle energies. We will present energetic particle data showing the evolution of intensities, energy spectra, and angular distributions throughout this event. S. E. Hawkins III, E. C. Roelof, R. E. Gold, L. J. Lanzerotti, G. C. Ho, and D. Lario, Beam-like ~40-300 keV Electron Events Measured at 1 AU by ACE/EPAM (1997-present) and from 1.5 - 5 AU During the Ulysses/HISCALE In-Ecliptic Mission (1990-1992), Spring AGU Meeting, May 2000, EOS Trans. AGU, 81, S349, Abstract SH32B-04. Solar energetic electrons often stream along the interplanetary magnetic field line with pitch-angles near 0 deg. or 180 deg. These strongly anisotropic electron events can be characterized as beams and provide an important diagnostic to the acceleration and transport of these particles from the Sun. We compare observations of beam-like events of ~40-300 keV electrons measured by two nearly identical instruments: the HISCALE instrument on Ulysses as it travelled from 1 to 5 AU from Oct. 1990 to Jan. 1992; and the EPAM instrument on ACE at 1 AU from Aug. 1997 to the present. These two instruments have a unique capability in that each measures particle pitch-angle distributions over nearly a full 180 deg. range, and each can unambiguously discriminate ions from electrons using a magnetically deflected "pure'' electron detector. The ACE and Ulysses data were both taken near the maximum of activity in their respective solar cycles. We have compiled surveys from both spacecraft of beam-like events at ~5-min time resolution. We find that these beam-like events occur frequently with typical durations from minutes to many hours, even out to 4 AU. The onset times of these near-relativistic electrons (particularly at ACE) cannot always be associated with increases in the soft X-ray emission observed by GOES. D. Lario, E. C. Roelof, R. E. Gold, S. Hawkins, R. G. Marsden, T. R. Sanderson, R. J. Forsyth, and J. T. Gosling, Solar Energetic Ion Events at 1 AU (ACE) and at Mid-Latitudes (~50S) at 3.5 - 5 AU (Ulysses), Spring AGU Meeting, May 2000, EOS Trans. AGU, 81, S361, Abstract SH52B-05 (invited). The increasing level of solar activity during the rising phase of Solar Cycle 23 has generated large solar energetic particle (SEP) events observed by the ACE spacecraft at 1 AU and by the Ulysses spacecraft at 3.5-5 AU. Ulysses is moving south from the ecliptic plane at the end of 1997 to mid-heliographic latitudes (~50 deg. S) by the middle of 2000. We identify the main transient proton enhancements seen by the ACE and Ulysses spacecraft throughout this period. We compare their characteristics and offer an interpretation in terms of their heliospheric location, the activity occurring at the Sun, and the conditions for particle propagation between the Sun and both spacecraft. Whereas at 1 AU different SEP events can be associated with individual solar events (e.g., CMEs), Ulysses often observes a single long-lasting SEP event even though multiple CMEs are launched from the Sun. Continuous interplanetary injection of particles from traveling CME-driven shocks, the effects of particle propagation along interplanetary magnetic field lines, and the corotation of these field lines across the Ulysses location are the main factors affecting these long-lasting periods of high particle intensity observed by Ulysses. D. Lario, R. B. Decker, and E. C. Roelof, Solar Energetic Particle Events Related to the Bastille Day 2000 Solar Storm, Fall AGU Meeting, Dec. 2000, EOS Trans. AGU, 81(48), F956, Fall Meet. Suppl., Abstract SH52B-10. The Bastille Day 2000 Solar Energetic Particle (SEP) event was preceded by a sequence of SEP events related to CMEs and flares in two major active regions (9070 and 9077). The ACE/EPAM and IMP8/CPME experiments observed two SEP increases prior to the great 14 July event, and two subsequent to it during the two-week period 7-22 July. These increases can be associated with CMEs and/or flares (X-ray, H-alpha, etc.) and their related interplanetary shocks observed at ACE. The SEP events prior to the 14 July event populated the interplanetary medium with high intensities of ions and electrons which then served as a seed population for further acceleration by the fast interplanetary shock driven by the Bastille Day CME. These circumstances resulted in the highest intensities of 0.05-5.0 MeV ions and electrons ever detected by ACE/EPAM. Consequently, for SEPs in this range, the great Bastille Day flare and CME must be viewed within the context of the high level of solar activity during the week preceding and following the event itself. C. G. Maclennan, L. J. Lanzerotti, L. A. Fisk, and R. E. Gold, Composition of Low Energy Interplanetary Ions in the Inner Heliosphere (1-5 AU): 1999-2000, Spring AGU Meeting, May 2000, Abstract SH52B-03. The rise to maximum of the 23rd solar cycle finds the Ulysses (ULS) spacecraft on its trajectory to the south pole of the sun while the ACE spacecraft continues to monitor the interplanetary medium sunward of Earth. Low energy interplanetary ions (~0.5 to ~8 MeV/nucl) are measured by the composition aperture telescope in each of the twin instruments HISCALE and EPAM on ULS and ACE, respectively. For ULS within ~30 deg. of the heliosphere equator, we found that the statistical distributions of the relative abundances of the ions at the two locations were similar (Maclennan et al., Proc. ACE 2000, in press). We also found that, on a statistical basis, the ion flux times the radial distance at ULS is proportional to the flux as measured at ACE. These results were interpreted in terms of a large parallel diffusion coefficient in the heliosphere inside ~5 AU. Here, we report on an extension of this study to higher heliographic latitudes as the solar cycle increases in intensity and as ULS approaches the southern solar pole. We remark on implications for the mechanisms for ion propagation to high heliolatitudes during more disturbed interplanetary conditions. C. G. Maclennan, L. J. Lanzerotti, N. Katsap, and R. E. Gold, Spectra and Distribution Functions of Heavy Ions (0.5 - 2.8 MeV/nucl) between 0 and 50 Degrees Solar Latitude, Spring AGU Meeting, May 2000, EOS Trans. AGU, 81(48), Fall Meet. Suppl., Abstract SH218-04. The Ulysses spacecraft is now well into its solar maximum orbit, and current data can be compared to data taken during the beginning of the Ulysses solar minimum orbit during 1992-1993. Using atomic composition data from the identical Ulysses HISCALE and ACE EPAM instruments, we compare heavy ion (C, N, Ne, Mg, Si, and Fe) flux distributions and abundances relative to He and O between the solar latitudes of 0 and 50 deg. S during these two Ulysses orbits. ACE serves as the 1 AU in-ecliptic reference point. We find the most probable abundance ratios from Ulysses to be about a factor of two higher in most cases during the solar maximum orbit. We will attempt to attribute the differences in distributions to the different solar conditions and particle sources that existed at the two times. We also examine the distributions of C/O and N/O as functions of species energy and of the heliolatitude of Ulysses. D. J. Thomson, L. J. Lanzerotti, and C. G. Maclennan, Time Series Analysis Studies of Voyager and Ulysses Magnetic Field Data in the Outer Heliosphere, Spring AGU Meeting, May 2000, Abstract SH22A-11. Voyager data in the outer heliosphere is not continuous because of the absence of continuous coverage by the Deep Space Net (DSN). Hence the data are characterized by substantial (order eight hour) data gaps each day. We have been investigating different analysis techniques on the time series of Voyager magnetic field data (magnitude) in the outer heliosphere using several modern statistical techniques. The purpose is to investigate possible long period (many day) variations in the data series. These studies include investigations of possible procedures for data gap-filling, of power spectral techniques with various data tapers (windows), and of statistical tests for robustness of any results. We report here an overview of the analysis procedures and some present conclusions. In addition, we report some comparisons with time series analysis of interplanetary particle and magnetic field data from the Ulysses spacecraft in the inner heliosphere where the data coverage is close to 100%.